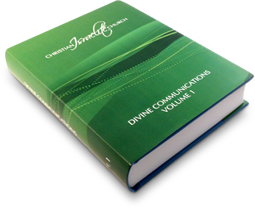 This book is entilted 'Divine Communications', and is a record of the enlightement and understanding given by the Sprit of God to those passages of Scripture which pertain to the regathering of the decscendans of the former House of Israel. This book covers the time frame from the beginning 1832. This book is entilted ‘Divine Communications’, and is a record of the enlightement and understanding given by the Sprit of God to those passages of Scripture which pertain to the regathering of the decscendans of the former House of Israel. This book covers the time frame from the beginning 1832.